Toe ek klein was wou ek baie graag die dae van die week onthou en my suster het toe vir my die dae van die week soortgelyk aan hierdie “Printable” op ‘n halwe A4 geteken. A new year is lurking around the corner and with that a list of Public Holidays South Africans have to keep up with. To help you keep up, I have it all here on a printable so we’ll know whats going on around us this year! Just click on the image below to download and print out! 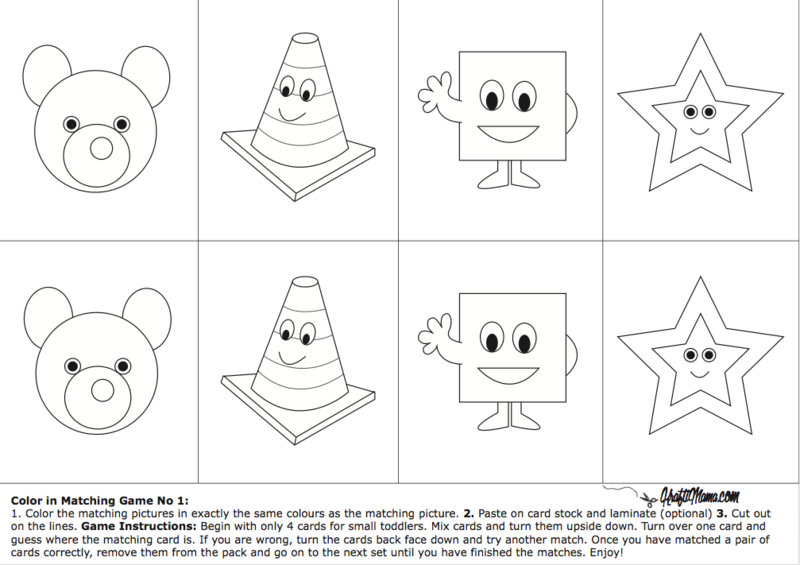 This is the second FREE Printable Coloring Matching Game. Find the first one HERE! Enjoy! So proud of my KraftiMama merchandise to be delivered at Restaurants wherever I go. So far the reception has been wonderful and I am pleased to say the owners are loving the gesture. Stars for kids to color in and cut out to play a matching game. Download the free printable HERE!